Pop Culture - Coming soon! Countries & People - Coming soon! 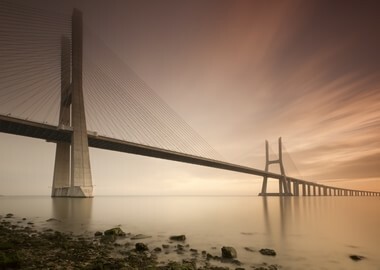 A 17 km long structure over Tagus river in Lisbon was the longest of its kind in Europe when it opened in 1998. The elegant bridge stretches into infinity, colored by sunlight or the lack of it. 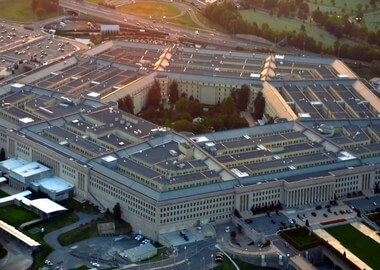 The Pentagon belongs among the largest office buildings on Earth, boasting over 27 kilometers of corridors. Constructed in 1943, it owes its shape to specific conditions at the location - Arlington Farms - which was the first choice for building the complex. A Guinness Record shot by Thunder Law of the Harlem Globetrotters was made in November 2013 from a distance of 33.45 m. But he would not stop there :) In 2014, Thunder made the farthest ever backward shot measuring 25 meters. Chile has opened the longest pool in the world in 2006. It belongs to San Alfonso Del Mar resort in Algarrobo and "it is equivalent to 6,000 familiar 8-meters-long pools," the resort says. The pool contains 250 million liters of water. Located in Montegrotto Terme, Italy, this 42-meter deep Guinness record holder contains 4.3 million liters of water. The number in its name loosely describes the pool's depth. The deepest diving pool in the world was opened in 2014. 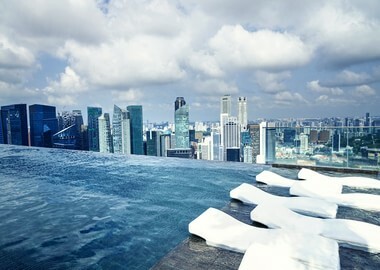 A 150 meters long rooftop pool at the Marina Bay Sands Hotel, Singapore. 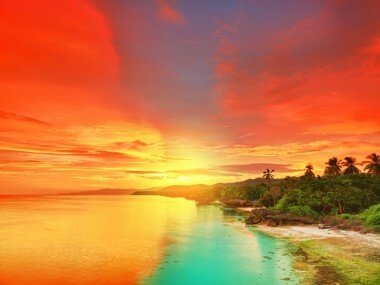 The second largest ocean has a shoreline of 111,866 km, and it covers 20% of the Earth's surface. When Magellan sailed into it in 1520, he was faced with a peaceful blue fabric, which he then named Mar Pacifico. The Pacific Ocean is also the deepest of them all. Besides, it contains over half of the Earth's free water. And that's not the end of it - all seven continents could fit into the area covered by this quite huge body of water whose coastline measures 135,663 km. 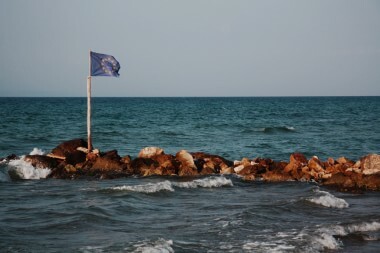 The European Union - more sea than land! 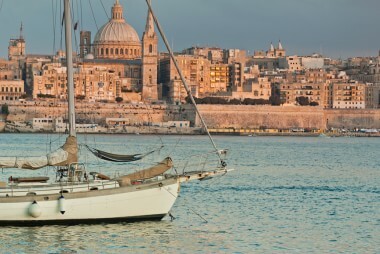 The largest maritime territory in the world is almost 66 thousand kilometers long. Over 40% of the Union's population lived within this area in 2011. The statue in Moscow celebrates the famous Russian leader. Peter I (1672-1725) was only a 10-year-old boy when he became a tsar. He grew into a man of powerful appearance, helped by the fact that he was 203 cm tall (his statue, however, reaches 98 meters). 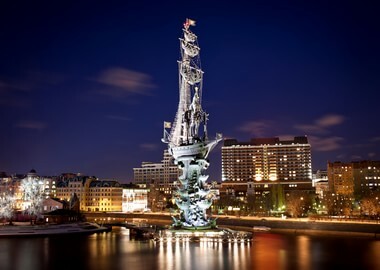 Peter the Great modernized Russia during his rule. 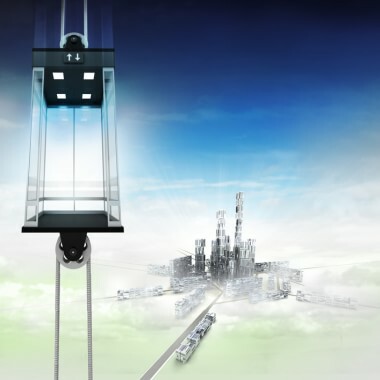 The construction of the proposed 686 meters high tower is expected to begin in 2015. 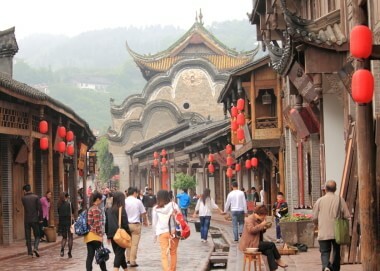 Referred to as "MIT's main street", 251 meter long Infinite Corridor was designed in 1913. 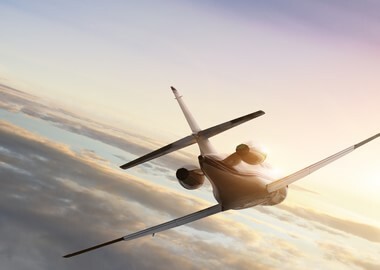 The highest cruising altitude for commercial aircrafts is 12,400 meters. Formally named President Costa e Silva Bridge, this bridge bridges (well, it does!) the Guanabara Bay. 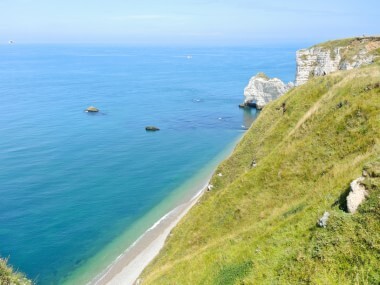 Also known as the sea that separates France from Great Britain. 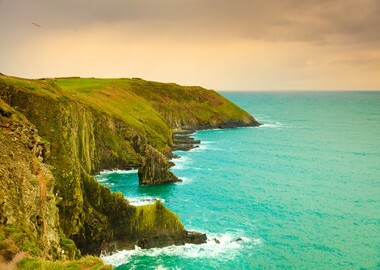 Other names include: La Manche ("Sleeve" in French), Mor Breizh ("Bretons Sea" in Breton), Mor Bretannek ("British Sea" in Cornish). This sea covers the area of around 72 000 square kilometers, five rivers flow into it, and at its narrowest point, the Strait of Dover, is only 31 km wide. Scientists believe that the today's Channel was preceded by a "super-river." 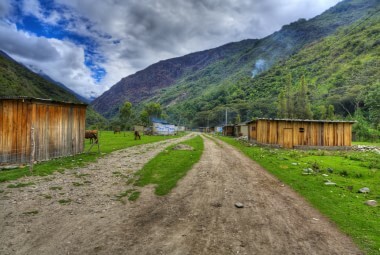 In La Rinconada, a city high up in the Peruvian Andes, about 50,000 people live at the altitude of over 5,000 meters. The highest elevated human habitation sits near a gold mine. 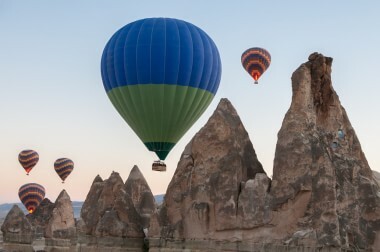 The record for the highest hot air balloon flight was 21, 290 meters. It was set in India in 2005 by a man named Vijaypat Singhania. He was 67 at the time! Everything is possible. China's 80 km structure belongs to the group of the longest bridges in the world. The Gorakhpur railway station set the world record for the longest home platform in 2013. This platform in India measures 1,366 meters! The highest-altitude railway station in Europe lies in the Swiss Alps, 3, 454 meters above sea level. 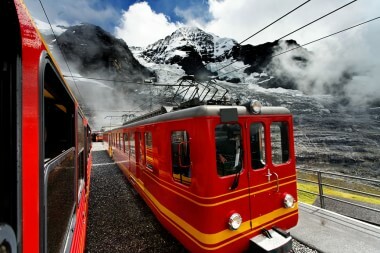 The Jungfraujoch underground railway station is situated near the summits of the Eiger, Jungfrau and Moench mountains. 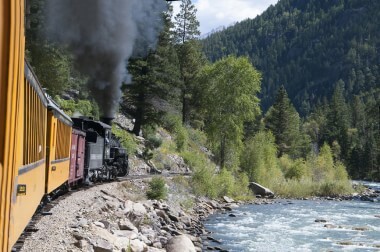 Imagine riding a train on a cold, sunny day, the snow glistening out of your window, the mountains welcoming new travelers! 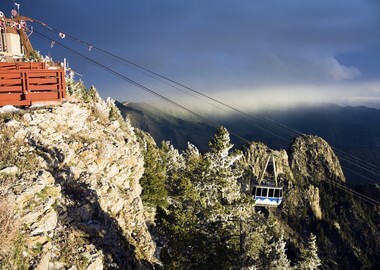 The Sandia Peak Tramway is an aerial tramway connecting the northeast edge of Albuquerque and the crestline of the Sandia Mountains. It spans over 4,300 meters. The U.S. pilot Robert White reached the amazing heights (96 km) in the X-15 rocket-powered spacecraft. 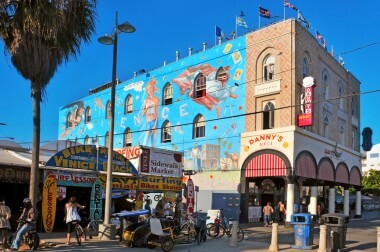 Air distance you would have to travel from Venice Beach, the USA, to Venice, Italy, equals 9,901 km. Ain't it grand (and fast)? The Beijing Grand Bridge is the fifth longest bridge in the world. 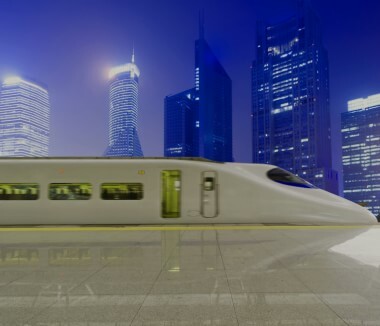 That may not sound like much, but consider this: the bridge is a part of the 33 billion dollar Beijing-Shanghai High Speed Railway (featuring bullet-trains like the one in the photo) and it stretches 48,153 meters. The entire rail line spreads across 1,318 kilometers! The Causeway holds the record for the world's longest bridge over a body of water. 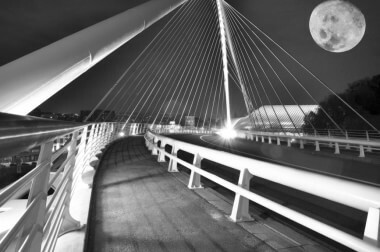 It is composed of two parallel bridges with the total length of 38, 442 meters. This impressive construction was opened to the public in its current form in 1969. The lake it crosses is home to many fish, ducks, and, as of recent, pelicans are making a comeback. What a sight! 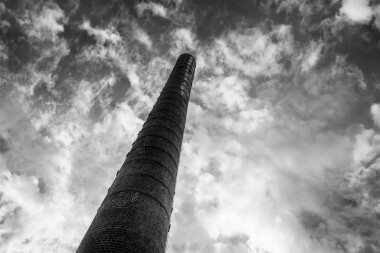 A coal-fueled power generating station in Ekibastuz (Kazakhstan) boasts the tallest chimney in the world, towering at an impressive 420 meters. The key element of the most famous cityscape of Toronto, the CN tower was long the tallest tower in the world. At an impressive height of 553 meters of concrete, it is the sixth tallest freestanding structure in the world today. It serves as a communication and observation tower. The extravagant building in the photo? A place to be seen at in the 1910s! 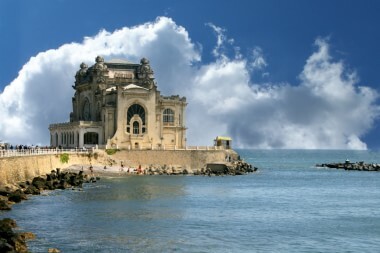 It's an old casino in Constanta, along Romania's Black coast, which runs for 225 km (from the Danube delta to Vama Veche). Romanian King Carol I initiated the construction of the Art Nouveau building, which attracted wealthy people and gamblers who probably, at some point, stood behind its shell-shaped windows indulging in the view of the Black Sea on a clear, sunny day. 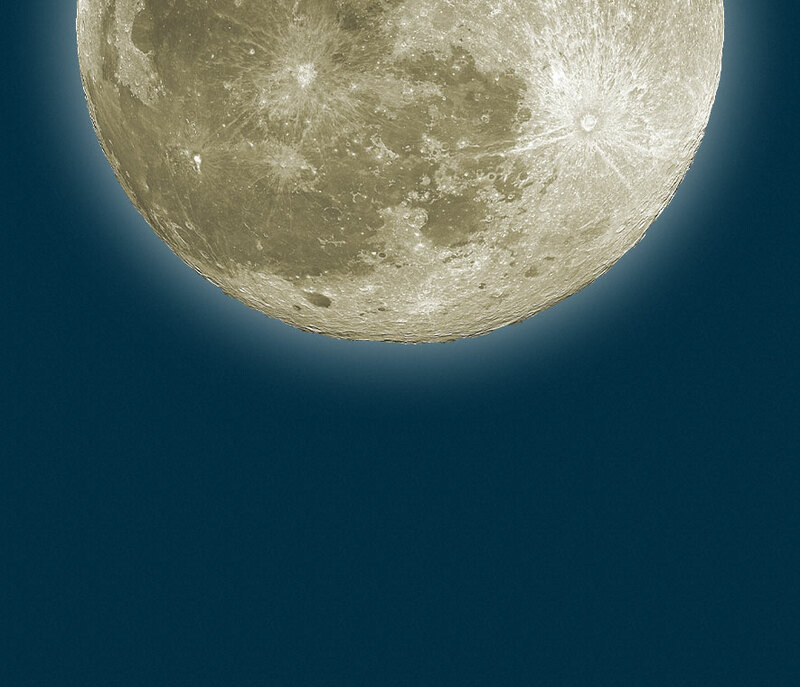 A full moon closer to us than 360,000 kilometres. 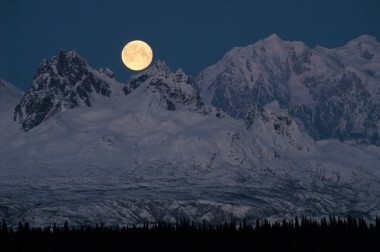 The year 2015 brings three more supermoons: August 29, September 28 and October 27. 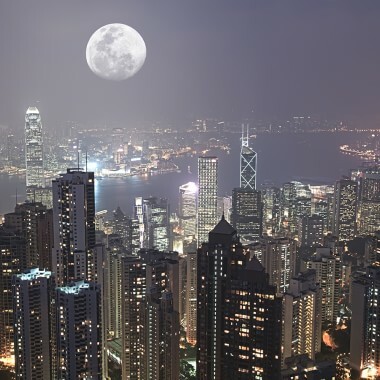 The September supermoon will be shining "only" 356,896 kilometers away from the Earth. 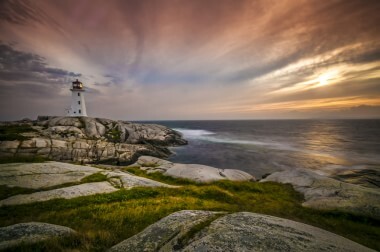 Under the sea fiber-optic system connecting Canada, the USA, Ireland, and the UK is 24,000 km long. Comrades ultramarathon was established in 1921 by the WWI veteran Vic Clapham. His idea was to emphasise camaraderie. 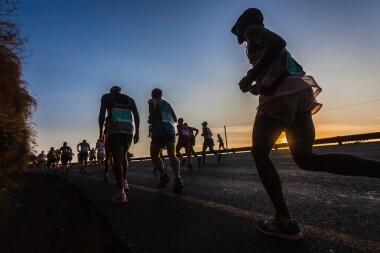 The marathon is run "over a distance of approximately 90 km | 56.1 miles between the capital of the Kwazulu-Natal Province of South Africa, Pietermaritzburg, and the coastal city of Durban," the Comrades website says. London to Magadan 105 days, 28,000 km adventurous motorbike ride. NASA's spacecraft Cassini took a photo of Helene in 2011 from a distance of 31,000 km. If you get a chance to take a closer look at this lady, it will seem to you that she is wearing a thin, white coat made of lace. 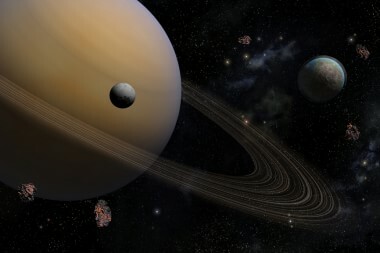 Helene is 35 km wide and orbits Saturn at the distance of 377,000 km. 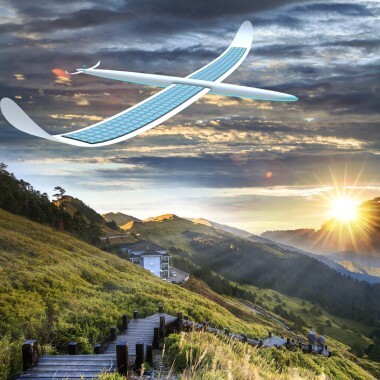 A solar plane traveling around the world. Solar Impulse II is currently making a 35,000 km journey consisting of 12 segments. The Swiss aircraft, piloted by Solar Impulse co-founders Andre Borschberg and Bertrand Piccard (yes, captain Piccard), will fly a total of 500 hours. Solar took off from Abu Dhabi in March 2015 and is expected to return there in 4-5 months. Belgium's (or at least they were until recently), like this road bridge in Liege. The country's highway network spans 154 thousand kilometers and it is one of the densest in the world. Belgium started developing its modern, vast and glittering road system after WWII. However, nowadays it is applying energy-saving measures which entail a more dim ambiance on the road. 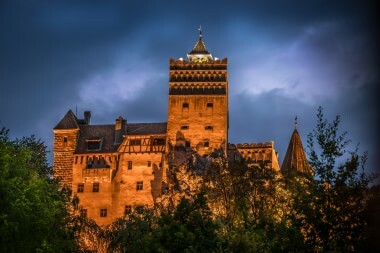 According to Romanian history and tradition, the Bran Castle (Romanian: Castelul Bran) was the home of Dracula, a character modeled after the duke of Wallachia Vlad III. The castle is located at an altitude of 760 meters, and there is no evidence that Dracula author Bram Stoker knew of this castle. There is, however, evidence that the setting he had in mind was a much higher Mount Izvorul Calimanului, 2,033 metres high, in the Transylvanian Calimani Alps, near the former border with Moldavia. 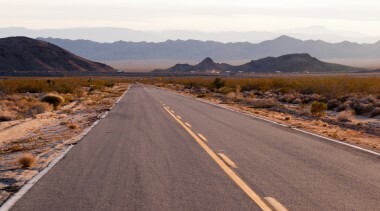 US Route 40 once ran 5,000 km from east to west coast, from New Jersey to California. 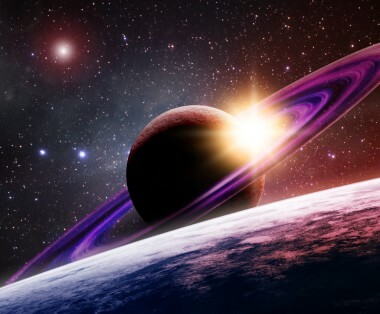 Saturn's ring system has a diameter of about 270,000 km. But it's incredible then that the rings are "just" one kilometer thick. Even more incredible - the fact that these seemingly smooth, perfectly put together circles are made of floating dust, rock and ice. United, human knowledge and nature know no limits. 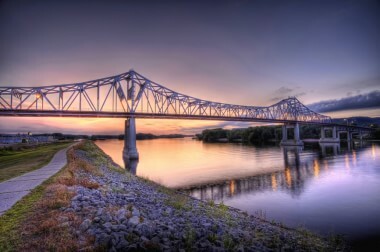 From 1820 to 1970 American agencies successfully made adjustments to 330 thousand kilometers of waterways to prevent flooding, facilitate transport and agricultural use of land. Among the modified watercourses was the grand Mississippi River. 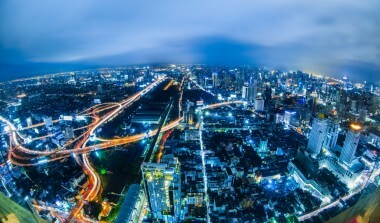 Immense, 55 km long structure, Bangkok's Bang Na six-lane highway opened in 2000. With around 82 thousand kilometers of roadways, Cote d'Ivore ranks 58th in the world. What color do you think of first? 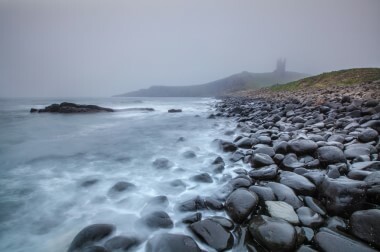 Would it be the beautiful bright-green covering the shores or mysterious smoky-grey drifting just above the water surface? Where is the palette taking you? A lot can be imagined when the coast in question spreads along 12,429 km. 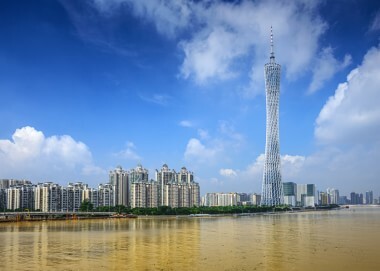 A multipurpose, elegant Canton Tower in Guangzhou, China, stands 600 meters tall. A 22 km long railway tunnel in Japan, completed in 1978. It was once the longest tunnel in the world. Almost 18 million Americans got their business and other news on Ibtimes.com in the first months of 2015. This 34,600 meters railway tunnel is located in Switzerland, under another tunnel. 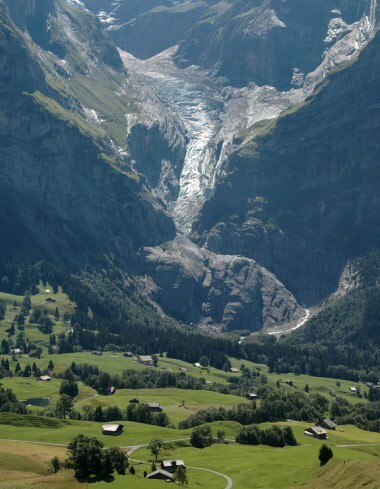 It cuts through the Swiss Alps about 400 meters below the Loetschberg Tunnel. Apart from some metro tunnels, it is the longest land tunnel in the world. 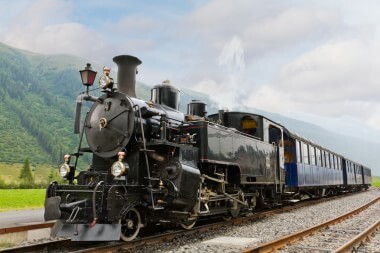 It runs between Frutigen, Berne, and Raron, Valais, and it was opened in 2007. Yes, that's possible. 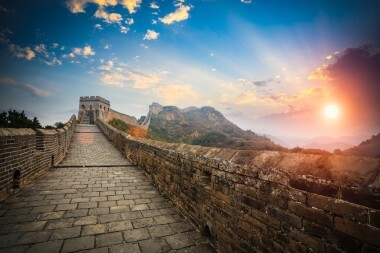 The UNESCO's World Heritage Site since 1987, the Great Wall would measure around 50,000 km in length if all the walls constructed in the north during the successive ruling dynasties in China were put together. Could you please press the middle level, some 47,000 km up? Thank you. 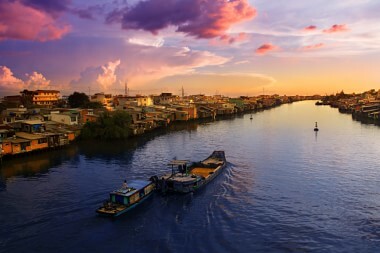 The length of all rivers in Vietnam put together equals 41,000 km. We give you the Mekong river at sunset. 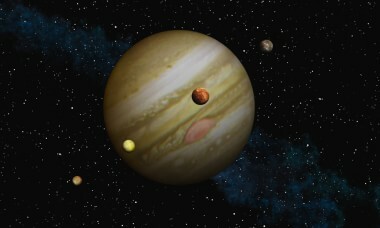 NASA's Pioneer 11 made its closest, 43,000 km approach to Jupiter in 1974. In the year 1860, Western Europe already had 38,000 kilometers of railroads. Important for transport of people, the rail network was also an inseparable part of the Industrial Revolution. How far can a bird fly? Oh, definitely some 15 thousand kilometers. Short-tailed shearwaters are famous for their (very) long distance migrations. They travel enormous 15,000 km only in one direction. But, there are species that can stay up in the air for 200 days - alpine swifts. 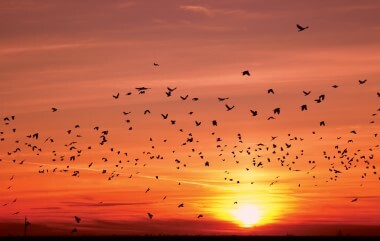 These birds rest and sleep while in the sky. 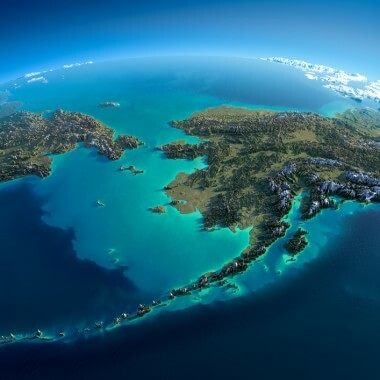 Around 85 kilometers "thin" at its narrowest point, Bering Strait is also a boundary between Russia and the United States. This is what it looks like from the above early in the morning. The volcanic, 59 kilometers long island in the Philippines. List some of the fastest animals? Sure, but everyone knows that. 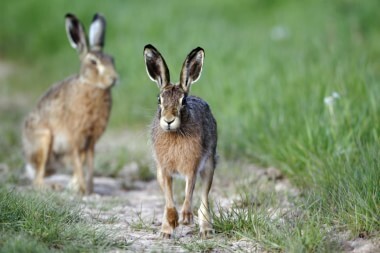 What about the brown hare? These powerful mammals, similar to rabbits, but bigger, can run 77 km per hour. The Lorelei Valley. 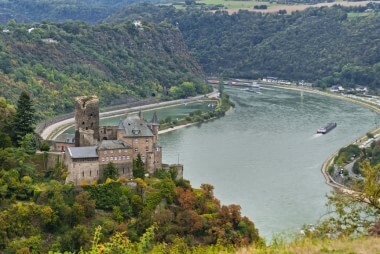 Home to castles from almost all the princess-and knight-stories you have ever read, a 65 km section of the Upper Middle Rhine Valley will awaken everyone's imagination, even if you are not an artistic soul. That's not all. As the legend goes, the Valley also had its own siren - Lorelei. 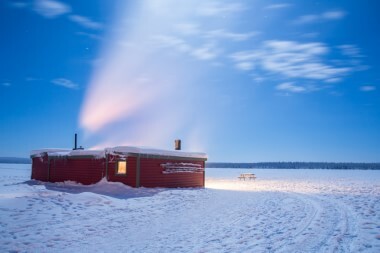 It stands out among the thousands of lakes in Kiruna municipality, northernmost Sweden. Tornetrask is 70 kilometers long and the largest among them all. It stays frozen until summer. The U.S. rail network covers nearly 230,000 km. Which shoreline overtakes them all? Canada's... With its 202,080 km. A proposed 13,000 km rail link. 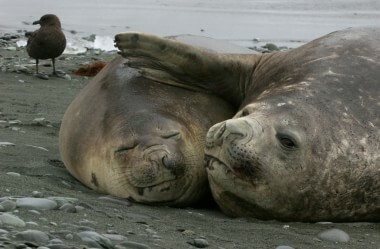 Like the northern elephant seal. 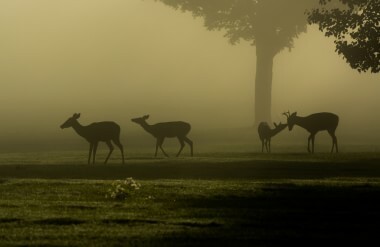 Each year they move up to 21,000 km. They spend most of their time underwater, taking only short rests on the surface. ... 160,000 km? Well, that's Gary Egan's annual commute . He lives in Porthcawl, South Wales, and it takes him 3 hours to get to Watford, Hertforshire, where he works. 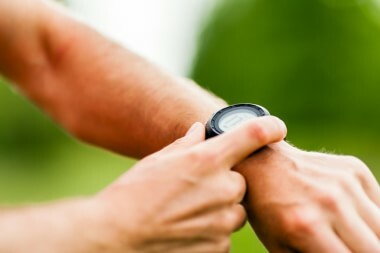 Americans make 5,900 steps daily. 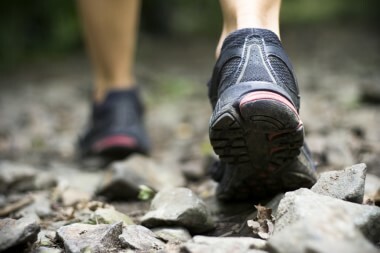 Let's say an average step is around 75 cm; it means they cross 4.4 km each day. 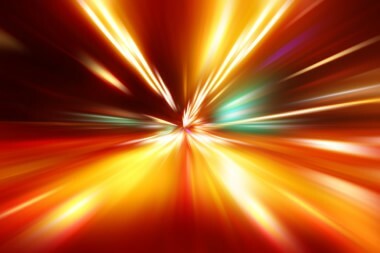 The speed of light is 299,792 km per second. If Mount Everest is the highest point on Earth, the Mariana Trench area is where its deepest point - Challenger Deep (10.9 km) - lies. Mariana Trench is 2,542 km long. Mid-ocean ridges around the world create a system spreading estimated 70,000 km. 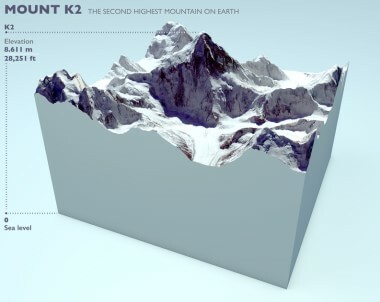 Not surprisingly, this makes them the longest mountain range in the world. It may not sound like much to run 200 meters in under a minute. But what if you are 95 years old? In March 2015, a 95-year-old man set a pending age-group world record running 200 meters in 55.48 seconds. Everything is possible! They travel up to 220,000 km per hour. ...if you are standing on the third observatory floor of the Eiffel Tower. And don't worry, even though you can see through it, this 8,000 tons iron structure keeps you safe to enjoy the wonderful view! An active volcano in Costa Rica, the Volcan Poas, expelled material 300 meters into the air in February 2014. This was not an eruption, but rather a phenomenon called "phreatic explosion", which happened because of a reaction between magma and water at the border of the lake inside the volcano. Yes, you read that right: there is a lake (actually, two!) near the summit of the volcano. In the 1970s they were expected to remain strong for up to 32,000 km; the number has now climbed to 128, 748 km. 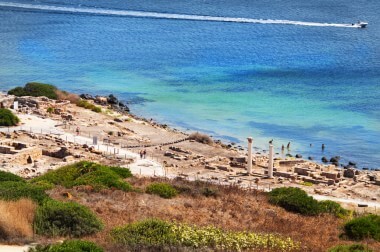 Tharros was an ancient city on the west coast of Sardinia, most likely founded by the Phoenicians in the eighth century BC. Because this fruitful county has always been inhabited, many archaeological remains are left to be discovered and to learn from; one of them is a 500-meter Roman aqueduct supplying the ancient city with water. The aqueduct dates from the Punic age (between 264 BC and 146 BC). A world heritage site, the Pitons are two volcanic mountains in Saint Lucia as close to brothers as geologically possible. The big brother, Gros Piton, is 771 meters high, while the little brother, Petit Piton, reaches 743 meters. They are so famous that the local beer is named after them! 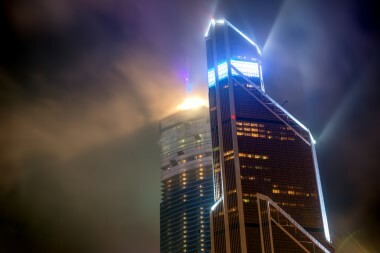 Moscow's 339-meter-high urban tower is definitely not a structure from a Russian fairy tale. This futuristic office and residential giant represents one of the newest additions to city's ambitious International Business Center project. Mount McKinley, with its highest summit measuring 6,194 meters, is the highest point in North America. Practically every other name the mountain has ever known referred to its height and greatness: during the Russian government it was called Bolshaya Gora (the Big Mountain); the Koyukon Athabaskan people, who live in the near proximity of the mountain, use the name Dinale or Denali (the high one or the great one, respectively). And just look at it, it really is a great mountain! Butterflies were spotted flying as high as 5,700 meters up in the glacier heart of the Pamir Mountains, while alpine flowers blossom at the height of 5,100 meters. They call it the most dangerous road in the world. It stretches from La Cumbre to Coroico (Bolivia) and varies in altitude, starting at 4,700 meters. 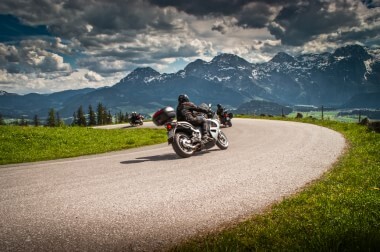 Around ninety percent of the ride is downhill and it takes an average of 4 to 5 hours to descend. Are you up for the adventure? 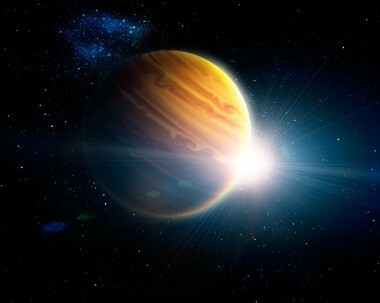 One of them, Aristarchus, is 40 km wide. Although scientific data vary, the crater might be 175 million years old. Walk wherever, really. 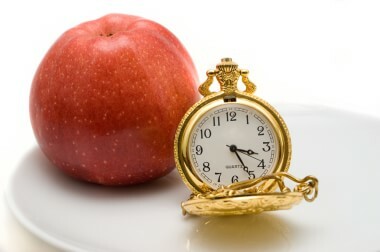 One way or the other, ten thousand steps or eight kilometers a day is a recommended "dose." A fancy name for a fancy dame. 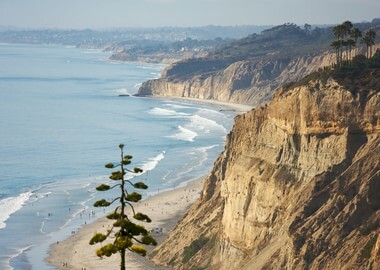 She is a wild orchid from California, growing at up to 900 meters above the sea level. Big or small, in bright or earthy tones, waterfalls in Colombia are simply picture-perfect. The waterfall in Parque Nacional Natural Tama has a drop of 820 m, which places it among the tallest on Earth. 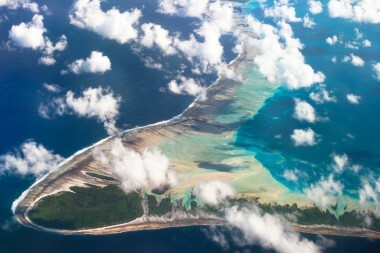 There is a little piece of paradise in French Polynesia called the Moruroa Atoll. 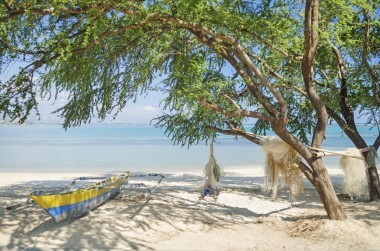 The islets and lagoon cover an area that is 9,5 kilometers long and 29 kilometers wide. Because this miracle of nature has so much to offer, it is no wonder there were international protests when France undertook nuclear weapons tests at this location between 1966 and 1996. Luckily, it is all over now! Coffee lovers, just stick to your local coffee shop brew. If you get entangled in research, the simple coffee moments will never be simple again:) Why? Well, was your coffee dry-processed for fuller taste? 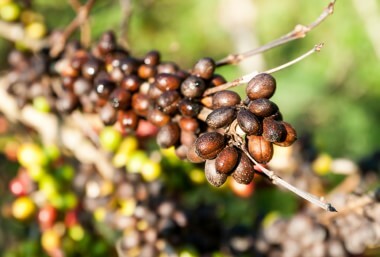 Does it come from high quality beans growing at altitudes between 800 and 1,200 meters? And that's how the obsession takes root. 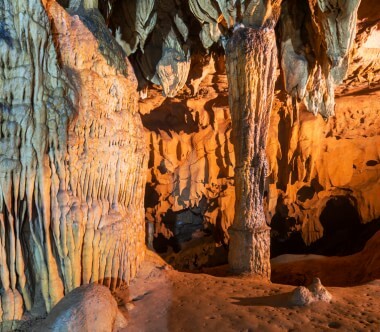 The Son Doong Cave (8.8 kilometers long) in Vietnam is said to be the largest in the world. Not easily accessible, the cave is worth the effort, considering the forests, waterfalls and a river "hidden" inside. 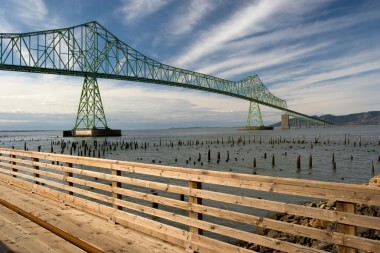 The bridge on Columbia River leading from Astoria to Megler is 6.6 kilometers long. Keep in mind that it can get windy up there! Amalthea, Jupiter's Moon and the reddest object in our solar system, orbits 181,400 km from its parent planet. A sinkhole is a hole in the ground caused by a collapse of the surface layer. Because this is so unusual and seems random, sinkholes are often given names to match their extraordinary nature, such as the Devil's Hole or in the case of Xiaozhai Tiankeng in China - the world's deepest sinkhole with the maximum depth of 662 meters - the Heavenly Pit. However, some sinkholes are put to a good use. 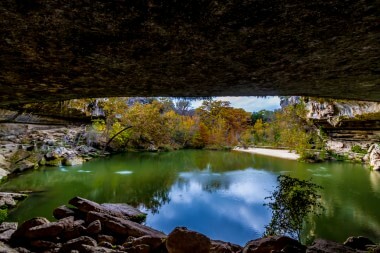 Look at this one in Texas which became a natural swimming hole and goes by name Hamilton Pool. Seventy-two kilometers island adorning the Lake Superior with its wild beauty is also the main feature of the national park in the U.S. state of Michigan and a "home to the longest predator-prey study in the world focused on the interplay between the island's wolf and moose populations," according to the National Parks Conservation Association. How deep is your frost? 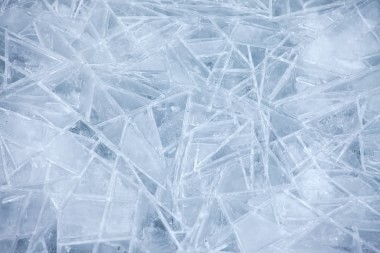 In order to be considered permafrost, soil must be frozen for two or more years. That means a minimum of two years below 0 degrees Celsius! This happens to be quite common in Siberia, where permafrost is found as deep as 800 meters underground. It is a small wonder that "The Phantom of the Opera" is the longest running musical in the world. The original production is so lavish, it took 2,230 meters of fabric just to make drapes! 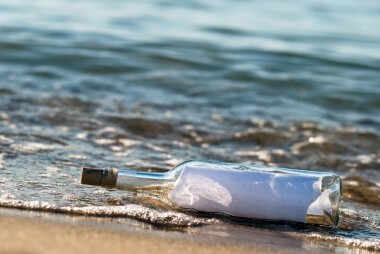 A message in a bottle written 28 years ago traveled at least 6,000 km from Nova Scotia, Canada, to Ploce, Croatia, where a local woman found it in 2013. The thoughts the writer of the note was trying to convey were: "Mary, you are a really great person. I hope we can keep in correspondence. I said I would write. Your friend forever, Jonathon, Nova Scotia, 1985." The city of Coventry, England, takes pride in its around the city, two and a half hour bus ride. The Eiger Ultra Trail is a popular trail run for nature enthusiasts and experienced mountain climbers alike. There are three trails in the Grindelwald region of the Swiss Alps, and if you are a newbie to trail running a 16 km trail at the altitude of 960 meters awaits with your name on it! 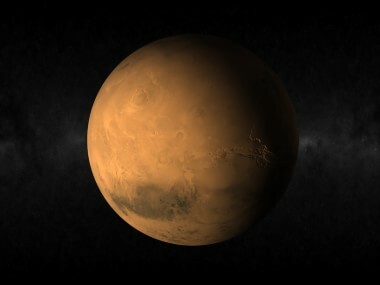 NASA's Viking I spacecraft took photos of the surface of Mars in 1976 during a mission to find possible landing sites for its sister ship Viking II. One of the photos showed a structure very much like the human face, with shadows over the rock shaping its eyes, nose and mouth. The structure was around 2,6 kilometers long! The "Face on Mars" was an instant sensation, as you can imagine, and has since become a real pop icon, even though it was soon proved that it was not an evidence of life on Mars but a regular Mars mesa (plateau) in the Cydonia region of the planet. 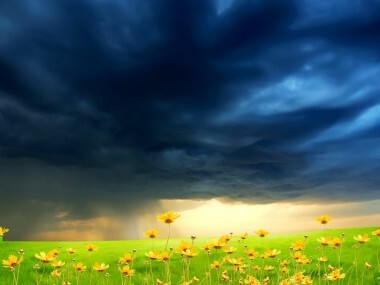 Where does the weather change happen? In troposphere, the layer of atmosphere that starts at the sea level, climbing up 7-20 km. 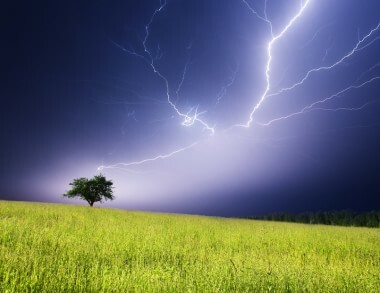 Troposphere draws its name from the ancient Greek word "trepein", which means "to alter." Makes sense. 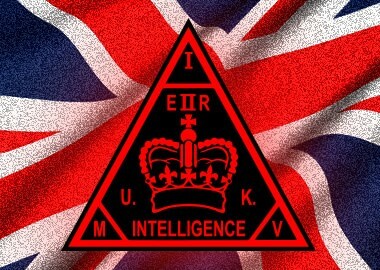 Counterespionage and protection of Great Britain's national security. However, the exciting mystique we perceive to be a part of an intelligence officer's life is difficult to spot in the following MI5's sentence: "In real life a large percentage of our work is routine and painstaking (though vitally important) and would not be at all entertaining to watch." Currently, 3,800 people work for this security service. Knowledge + enthusiasm = miracles. 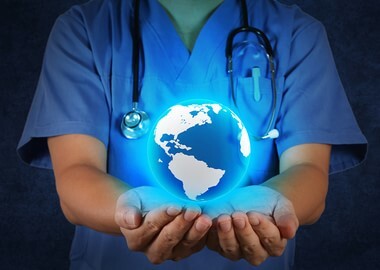 After its creation in 1971, Medecins Sans Frontieres reshaped the meaning of civil society's humanitarian responsibility. It had 300 volunteers at the time. 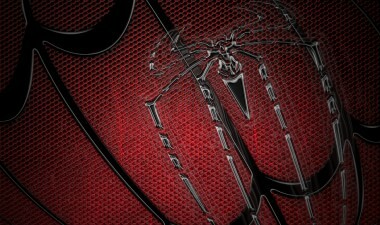 Today, it boasts 30,000 members. MSF received the Nobel Peace Prize in 1999. You cannot become an FBI agent if you have not turned 23 yet. But on the bright side, there is a standard that does not apply: Special agents do not have to wear dark suits and sunglasses at all times :) Finally, a tip FBI shared on its Website: "This is definitely not a nine-to-five career." 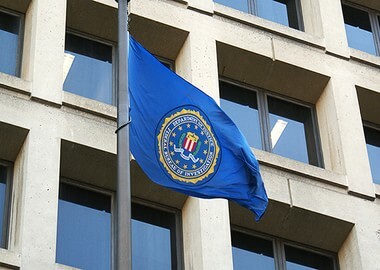 The number of the FBI staff presently stands at 35,344. 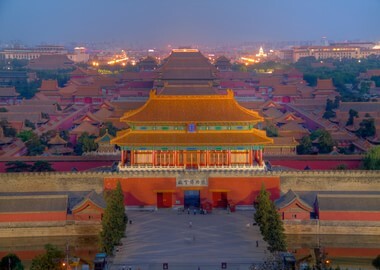 Over 15 million people visit the Forbidden City, the Chinese imperial palace in the centre of Beijing, each year. How many people would visit it if it was called the Allowed City? 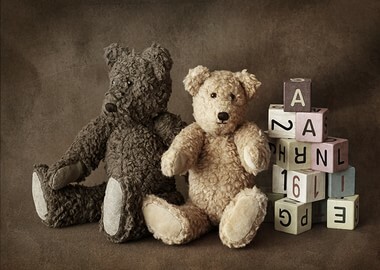 Over one million teddy bears were sold worldwide by the first decade of the 20th century. The UN's staff of 44 thousand works at the headquarter offices and in the field. The headquarters are in New York City, Geneva, Vienna, and Nairobi. 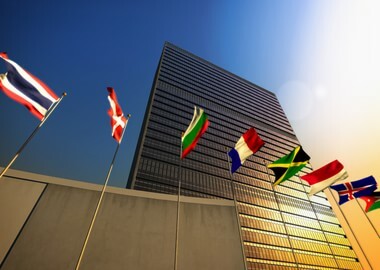 In front of the UN complex in NYC fly the flags of its members, from Afghanistan's on the 48th Street to Zimbabwe's on the 42nd. That could serve as a reminder that the world can be a small place where no one complains of a lack of space. The whole planet in one taxi organisation. 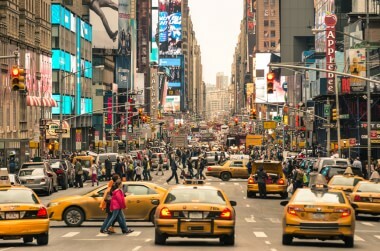 Fifty thousand yellow taxi drivers can be street hailed or e-hailed in New York City at one time or another. This amazingly diverse group of people represents over 175 countries. About 23% of them come from Bangladesh. Some of them are poets, some are painters, but they sure know how to navigate the challenging streets of NYC. The U.S. has 57,600 people working in this field. Reporters, correspondents and broadcast news analysts are all included in this number. Every day they chase the facts and call for accountability, even though they are often faced with a less than warm welcome. 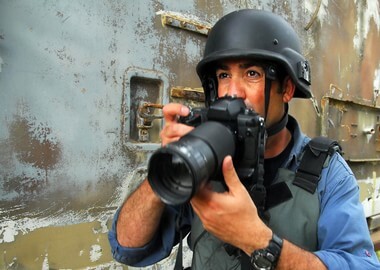 But that's simply a part of the job, as "respect for truth and for the right of the public to truth is the first duty of the journalist" (International Federation of Journalists Declaration). 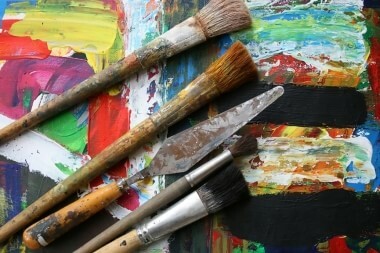 Creativity is what charter schools emphasize. The main idea behind charters, the advocates say, is to focus on individual needs of students and give more independence to teachers, while boosting both family and local community engagement. Around 3 million students are enrolled in the U.S. charter schools. 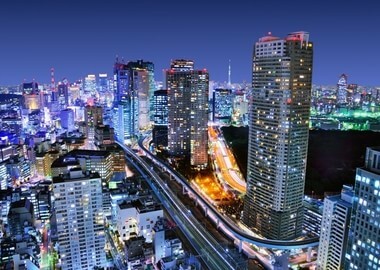 Home to 38 million people, "My Town Tokyo" (city's current motto) will keep its ranking even in 2030. Delhi, India, holds a second place with 25 million residents. These numbers raise an inevitable question: Are the fantastic sights of grandiosely lit, broad streets enough to make people living in megacities forget all the hustle and bustle they encounter every day? 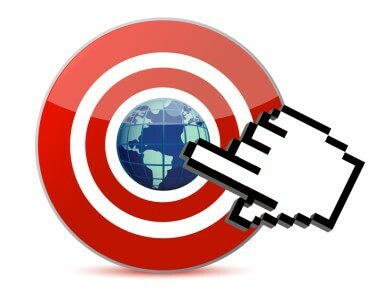 Over 222 million monthly visitors from the U.S. in early 2015. Over 86 million monthly visitors in early 2015 hailed from the U.S.
Twenty two percent of American adults use Pinterest. The platform has 57.3 million monthly visitors from the U.S.
People in the U.S. keep improving their street lingo every week. Let's look at a couple of words the 8.65 million Americans come across while turning the pages of the Urban Dictionary every week. Twoosh, for example, describes "a perfect, 140 character Tweet on Twitter." Fam would mean "a word used to describe your peoples; ones that you can trust dearly; someone you consider family." 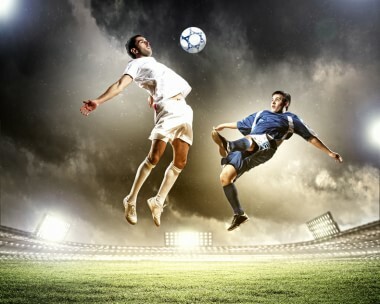 Over 13 million spectators attend the 380 Premier League games each season. Cristiano Ronaldo has recently become the legend of the social media too. In October 2014, the Portuguese midfielder emerged as the first athlete to pass 100 million likes on FB, after reaching over 75 million likes early in the year. It was a huge YouTube live stream. Around 8 million people watched in 2012 as Felix Baumgartner broke the record set 62 years earlier. Experienced Austrian skydiver jumped from 39,045 meters, surpassing the speed of sound. 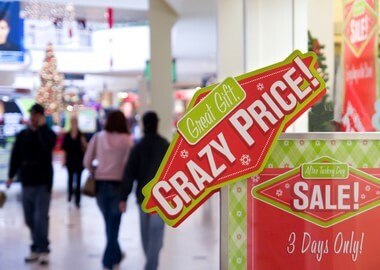 Around 141 million Americans went shopping one day after Thanksgiving. Only 3 people in all of human history visited the Mariana Trench. Engineer Gustave Eiffel loved building metal structures, especially bridges. 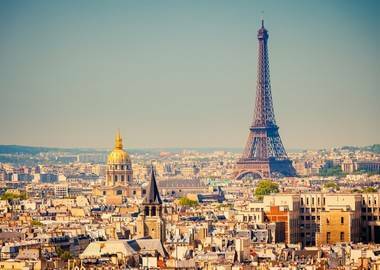 From a romantic angle, Eiffel Tower is a kind of a global connection: Quarter billion people visited the famous landmark since its opening in 1889. Got an Eiffel magnet on your fridge? How many friends is too many? The answer is - anything over 150. Dunbar's number is the cognitive limit to the number of people with whom one person can have and keep stable social relationships. British anthropologist Robin Dunbar came up with this concept in the 1990s. 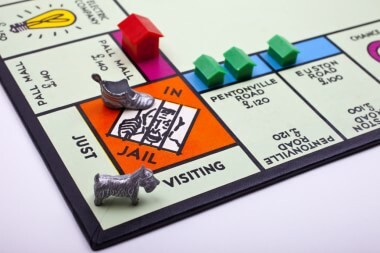 The biggest Monopoly game in the world was played by 277 people. The record was set in the UK, in 2014. 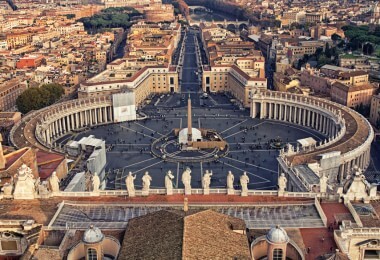 The Vatican City State, the smallest independent state in the world, is home to only 842 people. The Royal College of Art in London, a prestigious institution for aspiring art students, welcomed over 1300 new students in 2012. We're eagerly awaiting their work! These days everybody has a cell phone, some even more than one. But not so long ago, in 1989, there were only 2,300 mobile cellular subscriptions in Argentina. Look how far technology has come! Around 3,000 people gathered to pose on the Boston Marathon finish line in 2014, a gesture in memory of those who died in the bombings the year before. The photograph was featured on the cover of Sports Illustrated. Sixty-two people applied for a patent in only one year (2011) in Estonia. 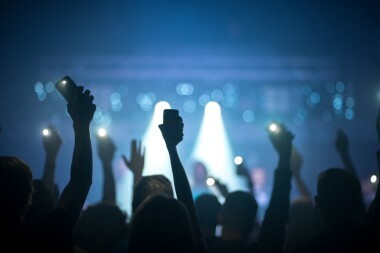 A group called, conveniently, the Biggest Band, holds the world record for most people singing live on a radio broadcast. The record was set at the Wembley Arena in 2011. 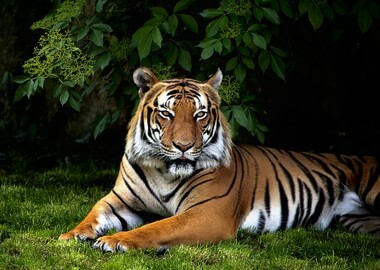 It has been estimated that there are around 4,500 privately owned tigers in the US. This excludes ZOOs, and it also means that there are more of these big cats in captivity than in the wild! 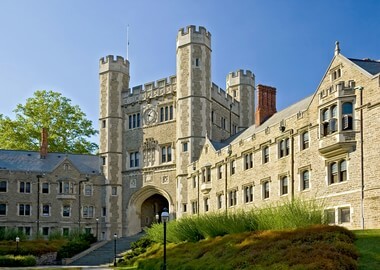 The famed university welcomed 7,592 students in 2010. These young men and women will be the driving academic force of tomorrow! 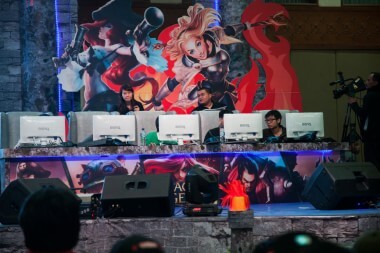 Everybody loves to play, but the participants of one particular LAN gathering took it to a whole new level - and, with 22,810 participants, set a world record for the biggest LAN party. It is estimated that around 32 thousand builders worked on the pyramids of Giza. What a marvelous feat! 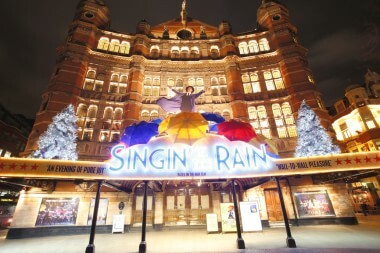 All 241 professional theatres in London still draw in huge crowds. Twenty two million every year. Among the favorite shows in early 2015: The Commitments, Women on the Verge of a Nervous Breakdown and Shakespeare in Love. "Hakka" means "guest families." A Chinese language subdivision is a native tongue of more than 30 million people. Hakkas are originally from the northern part of the country, but they eventually settled in the south of China. Choose the shape you like and shake your tree. If the needles are falling off, that's not really your tree. You need a fresher one that will adorn your home for weeks to come. That is, if you are as enthusiastic about Christmas home design as at least 6 million people from the United Kingdom are. They have the best selling tablet in the world. Be it iPad or Rubik's Cube, be it your generation or the one which grew up decades earlier, at some point everyone simply had to own the groundbreaking product of their time. After their launch in 1980, over 350 million Cubes were sold. 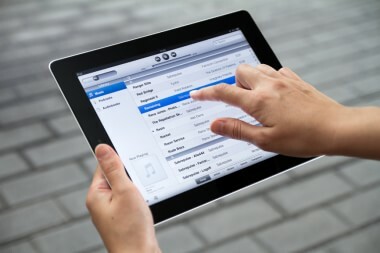 According to the data from 2014, around 225 million Apple tablets have reached consumers' hands since 2010. In 2013, that number was 170 million units. 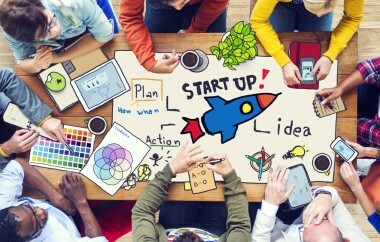 In just one year (2012), 4,709 people applied for a patent in Canada. That's impressive! Where does it come from? It developed on the Iberian peninsula from spoken Latin, after the Roman invasion in the 3rd century BC. The seventh language in the world today has 203 million native speakers. We're quite used to the fact that Internet is all around us. 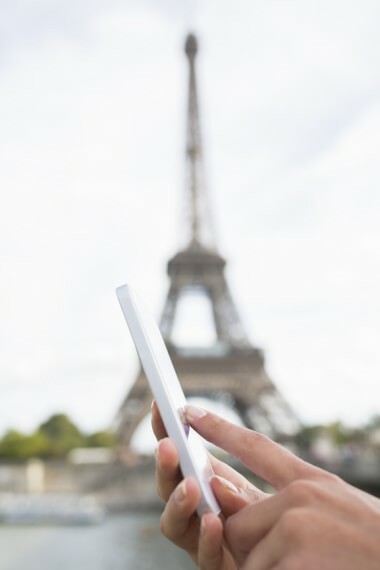 But did you know that not so long ago, in 1998, there were only 13,464 broadband Internet subscribers in all of France? Did you know? Fifteen thousand people had mobile cellular subscriptions in DR Congo in 2000. 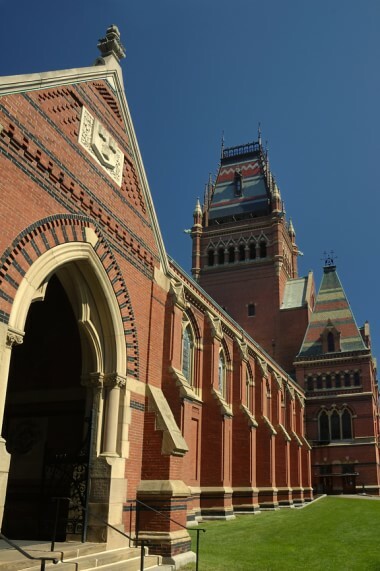 One of the most prestigious and demanding colleges in the world, Harvard admitted 21,225 new students in 2010. 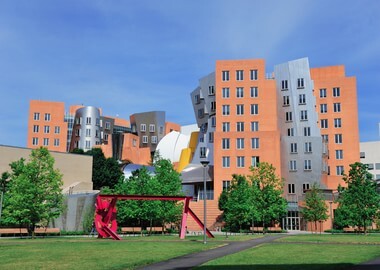 One of the most famous economics schools in the world welcomed 9,805 new students in 2012. Happy studying! 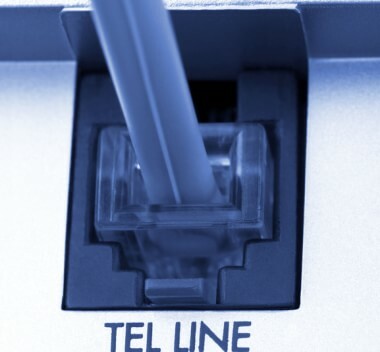 On the territory of the today's European Union there were only 23,483 mobile cellular subscriptions in 1980. Time flies! 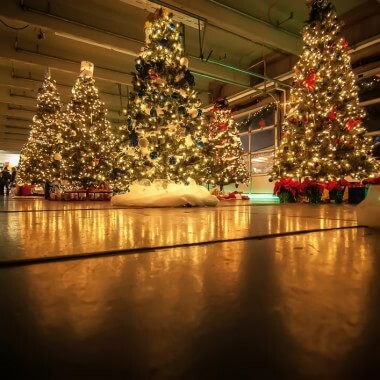 Fake Christmas trees: What's your preference? 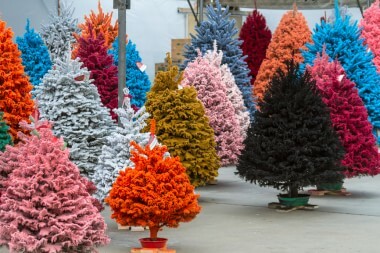 Americans bought 10.9 million fake Christmas trees in 2012. A perfectly shaped plastic tree seems to be an absolutely fine choice for the winter holidays. Although not entirely prepared for the amount of fun it was about to experience, the world welcomed Mama Mia! with arms wide open. So far, 54 million people have seen this musical infused with good vibrations. The show was rocking theaters and concert halls wherever it went. So, at this point in time it seems quite unreal when the show's producer Judy Craymer says her team was not quite sure how Mama Mia! will be received by the audience. 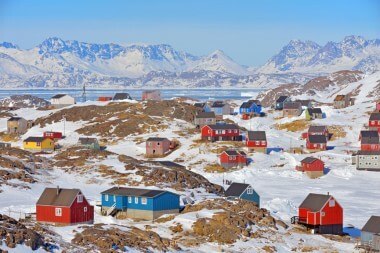 Greenland recorded over 60 thousand mobile phone subscriptions in 2013. Its population - 57,728. 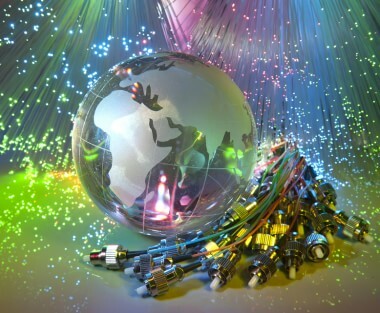 China had almost 189 million high-speed Internet subscribers in 2013. Now, that's a respectable number. Broadband Internet subscribers in France in 2013 - almost 25 million. It welcomed runners from 175 countries. Moreover, since the first event in 1970, NYC Marathon has had 1.02 million participants. The one held in 2011 was completed by 46,795 of them. In 2014, 50,530 runners reached the finish line, with an average time of 4:34:45. From 91 thousand in 1984 (the year of Footloose:) to 128 million in 2001 and almost 306 million in 2013. For those considering schools in Germany. Ludwig Maximilian University in Munich, famous in Europe and beyond for its research, is 500 years old. However, its age does not make it live in history. The university pushes forward with advanced research and ideas. It had 45,539 students in 2010 and five thousand more in 2014. New Yorkers, how do you prefer your NYTimes? 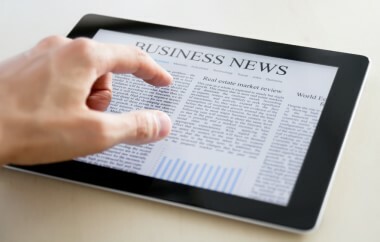 The New York Times print and online versions combined had the local readership reach of 3.96 million in 2011. 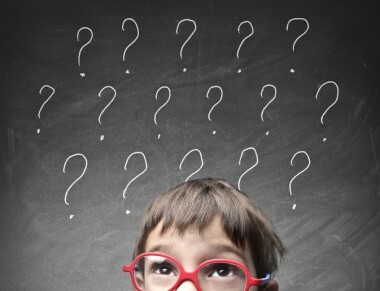 Answers.com had a global monthly audience of 102 million people at the beginning of 2015. 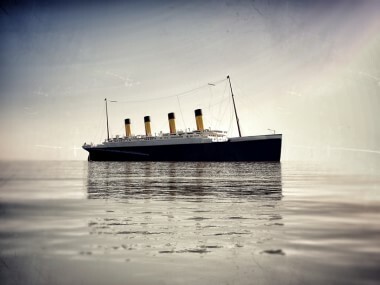 The total number of crew and passengers aboard the RMS Titanic was 2, 223. 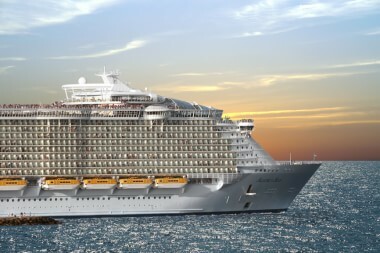 Only 700 survived the collision with the iceberg. Whatever it is, it obviously makes visitors of Spiegel Online happy. Spiegel Online, Der Spiegel magazine's online sibling, had 177 million unique visitors in March 2013. It ranks among the top German-language Websites. The English-language version is called Spiegel Online International. 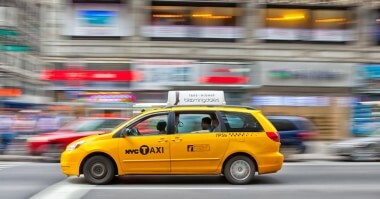 NYC yellow taxis transport 236 million passengers each year. Some of the busiest days? Weekends around Valentine's. Apple is projected to sell 20 million smart watches in 2015. 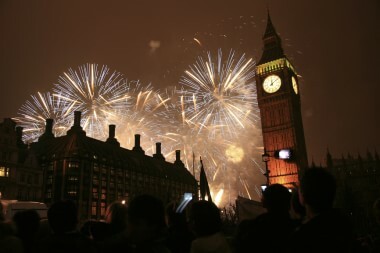 More than 12 million people watched the New Year 2015 fireworks on BBC One. Daily players - 27 million! Between 2013 and 2014 the number of active daily players more than doubled. Chances are you are playing LoL right this moment or know someone who will indulge in it today for many, many hours. Twenty-six brave women are the world's first all-female anti-poaching patrol unit. 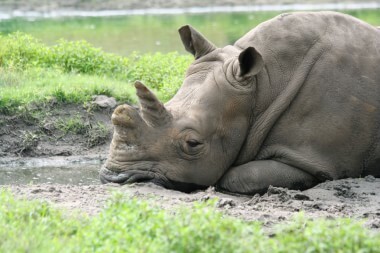 They fight hard to keep the endangered rhinos in South Africa safe. Their contribution cannot be overstated! Sixteen million passengers took the 35-minute ride through Eurotunnel in 2005. 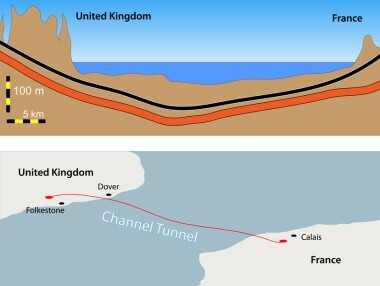 The average depth of the tunnel, an underwater link between England and France, is 50 meters below the seabed. The nomadic Dukha people in northern Mongolia have always lived with reindeer. They are much more than cattle: they ride them, breed them, use them for milk, cheese and fur. 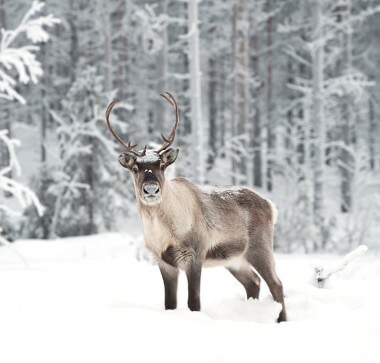 The population of both reindeer and the Dukha people is declining. The estimates say there are between 200 and 400 of the latter. Do not judge its older guests, please. 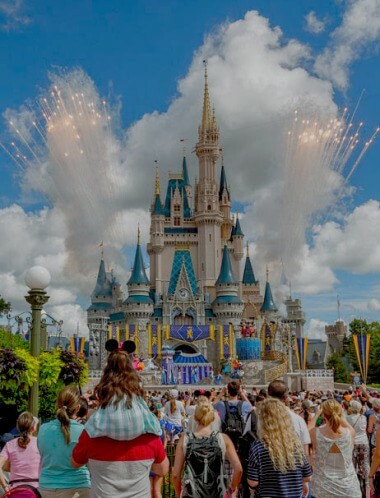 Yes, it goes without saying that Disney World, Florida, is a dream of every child. But, it also seems understandable for parents to try to get their way for once and treat themselves to those yummy fish and chips in Epcot before they visit the Magic Kingdom or the Animal Kingdom... again. One final piece of information: Disney World has 18.6 million visitors a year. "Animal Aid Unlimited" in Udaipur, in the Indian state of Rajasthan, rescues and treats street animals who have nobody else to care for them. A big job for the staff of 35 people! 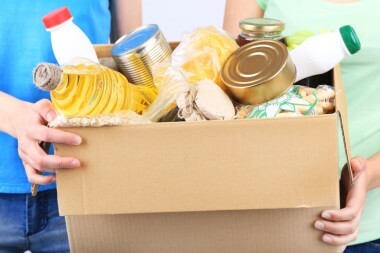 A soup kitchen coordinator in the UK has managed to influence the lives of one hundred people in just two years. She has set up a soup kitchen and food bank called "Hope for Food" that provides meals for 100 people in need three times a week. One person can do so much! 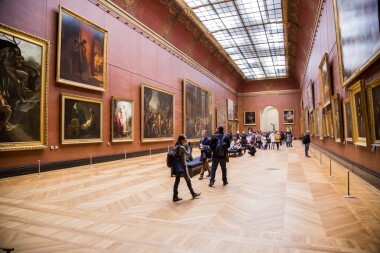 How many people does it take to run one of the most well-known museums in the world? The answer is - around 2,000. That is almost like a little art-army! The Ecole de Danse de l'Opera de Paris is a 300 years old ballet school based in Paris, France. The 130 hand-picked students are aged from 8 to 18. Simon says: Break a record! You all know the game, but did you know that the largest group of people playing "Simon Says" included 12,215 participants? The record was set in Utah, in 2014. 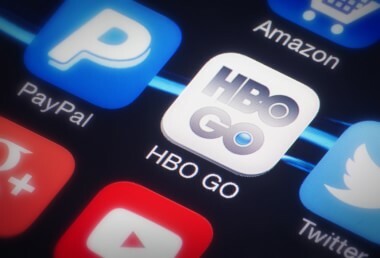 Were you, too, one of the HBO's 28 million U.S. subscribers in 2014? There were 398 people dressed as Spider-Man at a London event in 2014. Needless to say, the superheroes set the new Guinness World Record. Over 300 climbers have reached its summit since it was first conquered in 1954. Continuing their happiness-spreading quest, 554 people got together in Burntwood, UK, in May 2014. 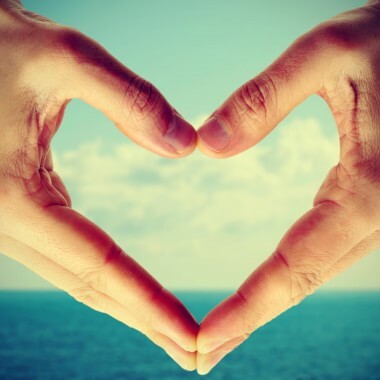 They organized an event that gave us the greatest number of heart-shaped hand gestures in one place. Five hundred people held 1,500 photos in a 110 seconds "motion picture" created by Eran Amir, an Israeli video artist. The Federation Internationale de Football Association, or FIFA, founded with the goal related to constant improvement of football, was established in 1904. Today, around 310 people from over 35 nations work at FIFA. 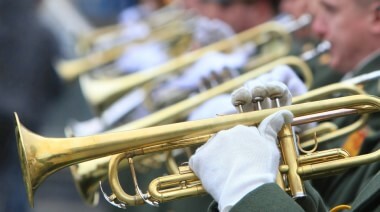 Marching bands are a big deal at universities across the States. As they should be! The music, the skill, the uniforms, and the buzz are something a university football game simply cannot go without. The Auburn University Marching Band has 380 members and has won the Sudler Intercollegiate Marching Band Trophy in 2004. The band has a long history as well - it traces its beginnings as far back as 1897! 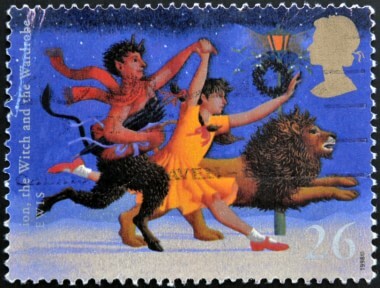 "The Chronicles of Narnia" are amongst the favorite children's books of all times. The story is so popular, it even has its own stamp in the UK! As far as the movie adaptation is concerned, the art department working on "The Lion, the Witch and the Wardrobe" was 436 people big. That is the largest art department for any of the best performing films in the past 20 years! 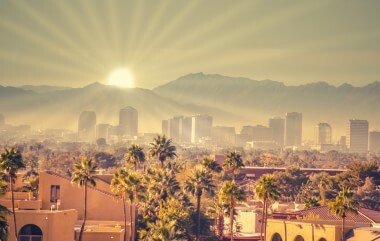 The Phoenix metropolitan area had 240 residents in 1870. The figure exceeded 4.3 million in 2012, making it the 13th largest urban region in the United States. Do you know that San Francisco welcomed a record 26,000 participants at the Game Developers Conference in 2015? 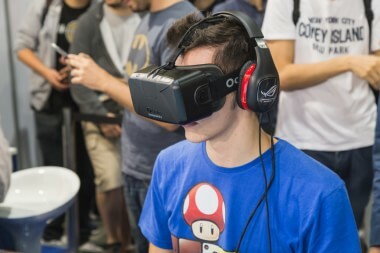 An especially popular subject at the event: Virtual Reality (VR) devices and platforms. 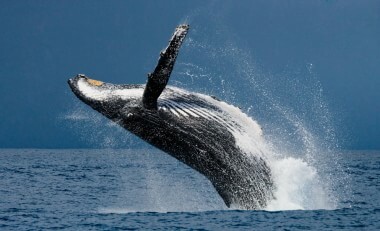 Hervey Bay in Queensland, Australia, a small town of 63,000 people, is the ideal place to watch humpback whales in the summer. The image sharing service reached 150 million active monthly users. 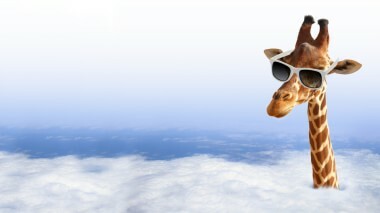 Its mascot: Imguraffe! How many people does it take to develop a video game? In the case of "Assassin's Creed IV", almost 1,000! With 31.2 million arrivals in 2014, the country stood firmly and politely on its 8th place. 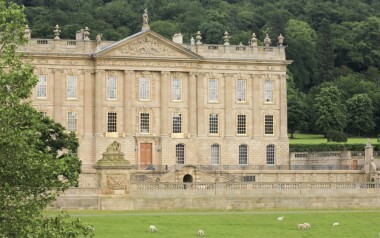 Fancy a visit to Mr. Darcy in Chatsworth House, Derbyshire? About 53,000 people were proud to count themselves as friends/members of the Saint Louis Zoo in 2013. With all the community care and its team of specialists, the zoo remains at the top of the list in America and in the world. 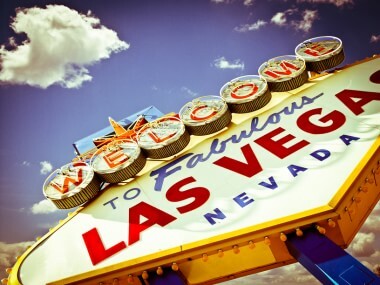 Six thousand new residents start calling Las Vegas their home each month, according to data from the 2000s. 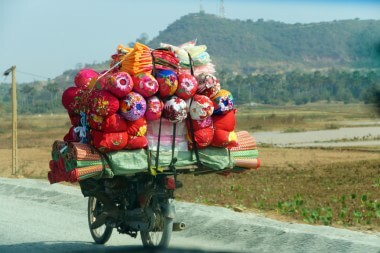 Turning trouble into hope, the unwavering women of Cambodia have made and sold 5,000 quilts since the Quilters of Hope was established in 2006. Riyadh, capital city of Saudi Arabia and home to 7 million people. After it became clear the vision will come true, sixty five thousand people have put their names on the list for the journey of their lifetime. Virgin Galactic is working to take them 110 km up, just above the place - Karman Line - where outer space begins. Can any of us even begin to imagine what comes next? The contestants are aged from 9 to 14, and they compete in programming a robot. Sounds awesome enough? 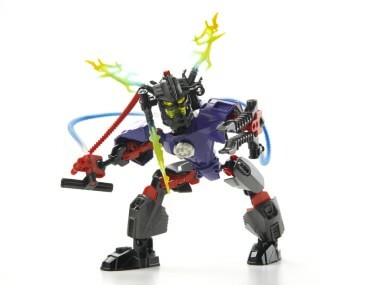 Not quite yet: they use Lego Mindstorms technology, and the goal of this programme, called FIRST LEGO League (FLL), is to promote innovation, science and technology among youth. The 2013 Championships were held in Utah, and there were 480 contestants! More than 54,000 people in China were over the wonderful age of 100 in 2013, the country's official data showed. Cheers to them! Six hundred people started their training at Audi's international locations in 2013. German carmaker has been implementing the vocational education program both in its home country and abroad. Other big names in the German automotive industry, such as Mercedes-Benz, have been devoted to this innovative approach to apprenticeship for many years. 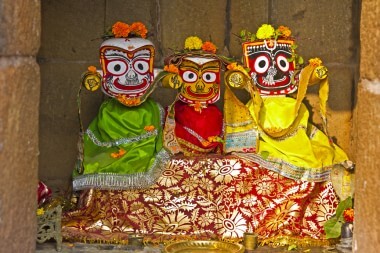 Jagannath, meaning the Lord of the Universe, represents an important deity in Hinduism. He is considered to be a form of Vishnu or his avatar Krishna. The most famous festival related to Jagannath is Ratha Yatra, the chariot journey where Jagannath, along with two other deities, is transported to the Gundicha Temple in a massive wooden chariot drawn by devotees. 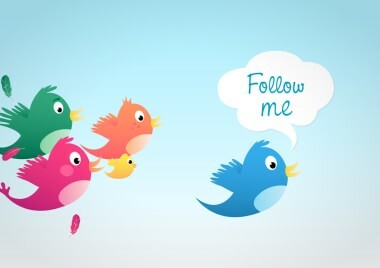 One author writes about as many as 4,200 people pulling the three chariots! About 650 people got together on October 4, 2015, in Las Cruces, in the U.S. state of New Mexico, to mark the seventh Pagan Pride Day and to show that paganism does not stand for "the dark side." In recent years this religion has been granted more recognition. 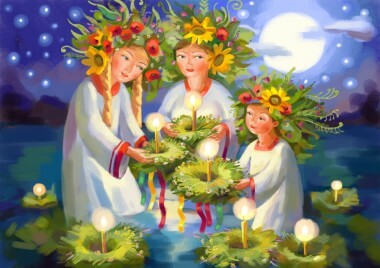 For instance, the British police now allows pagans within their ranks time off during pagan religious holidays, while the U.S. Air Force has an outdoor worship place for its pagan members. Time not spent only idly counting the waves over the margins of a good book, but in the Sahara Desert, running the toughest foot race in the world! The Marathon des Sables, or the Marathon of the Sands, is a six-day, 251 kilometers long ultramarathon, and this year 1,490 people are competing. 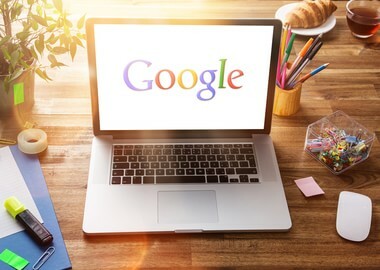 The Biggest Search Geek Contest, a quiz that tests SEM abilities and knowledge, boasted about 2,700 contestants in 2013. Considering how relatively new the SEM discipline is, it is exciting that this contest has been around for seven years now! Ready for the challenge? Few groups of people are able to come together in a way fandoms do, and it's especially endearing when there's a charity cause added to the equation. The 3,400 attendees of the 2011 LeakyCon, the annual Harry Potter fandom conference, raised 120,000 dollars for charity. 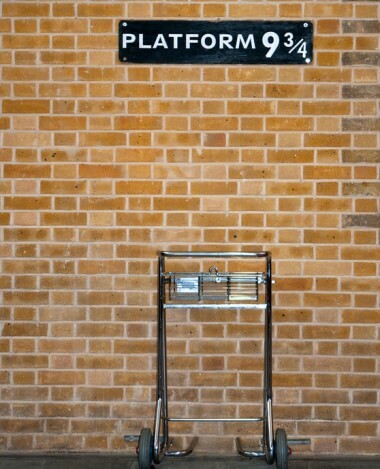 Mischief managed! L.A. has its own way of welcoming the New Year. Saluting the 2015, 40,000 people have come together to watch the 3D video mapping countdown in the Grand Park. 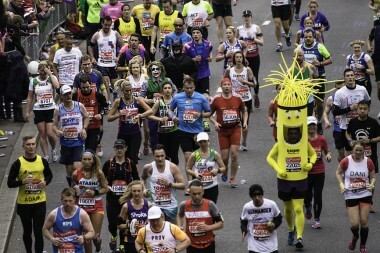 A record number of over 38,000 runners participated in the London Marathon 2015, the biggest crowd the Marathon has seen in its 35-year history. 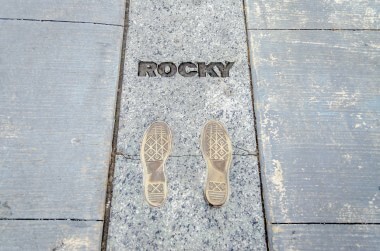 The new Rocky movie "Creed" will involve 5,500 extras.